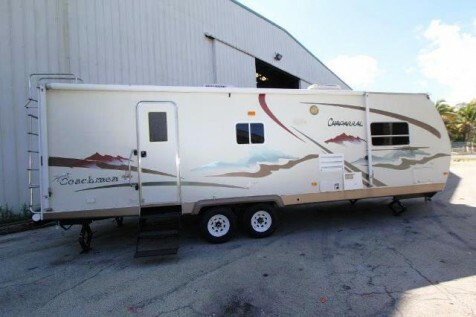 General Condition: This tow behind camper is the perfect home on wheels for the adventures couple or great family getaway. She offers a full master suite aft with private head and shower, living room bump out, convertible dinette and pull out sofa. Her large galley and spacious interior will be perfect for the whole family.